The union territory of Puducherry, fondly called as Pondy by the local population is quite famous for its bakeries and bakery products. The urban centre is the home of a lot of quality bakeries that are celebrated for their pleasant-tasting pastries, pie, cakes, cookies, rusks, puffs, croissants, sandwiches, bread and many other snacks. Bakeries in Puducherry use superior quality wheat and maida (refined white wheat flour), sweetening agents, enhancers, colorings and fresh dairy products. The bakeries garner these raw products and items from the popular providers and subject them for assorted quality checks before directing them into the kitchen. Furthermore, bakeries in Puducherry broaden their bakeshop services for special occasions like birthday parties, business gatherings, and wedding ceremony and so on. 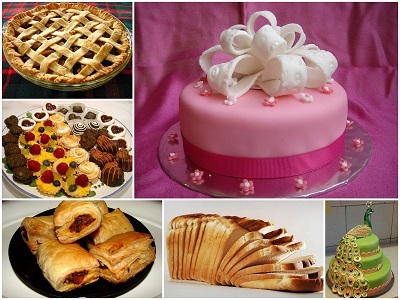 Find below the list of quality and popular bakeries in Puducherry along with their location and contact details.